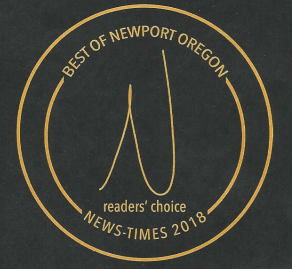 The finest Ocean Sport Fishing in Newport Oregon. 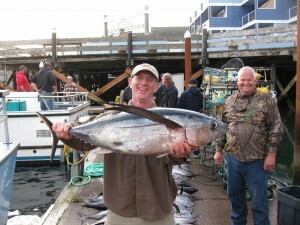 Whether you’re looking for Tuna, Salmon, Halibut or the variety of Rock fish available; Yaquina Bay Charters can deliver. 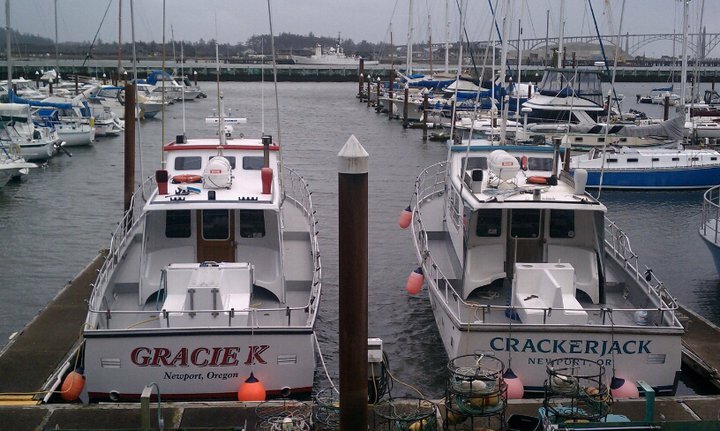 Whale watching and crabbing trips are available as well. Reserve a private charter for your group or special party. We are located in the marina at Newport’s Embarcadero Resort, situated amongst the yachts and sailing boats. We offer from start to finish the best customer service you can find in the industry. We have plenty of parking next to the docks so you never have a long walk or long stairs to climb. Our experienced Captains and friendly crew provide high quality fishing equipment for use and take the time to show you how to use it. You are always welcome to bring your own favorite rod as well. Expert fish cleaning services are available at our docks and you can swap your fish stories of the day at the lounge or restaurant on site. All our fishing boats are fiberglass and contain state of the art equipment for getting on the fish. Our boats are all U.S Coast Guard certified and comply with all safety regulations. We do not take safety lightly! Our pilots are licensed and professional captains who are extremely knowledgeable with many years of experience on the Pacific Coast. We never overcrowd our boats! Smaller passenger loads means better, more personal service. Be sure to dress warmly, preferably in layers and don’t forget to bring your camera to capture that special moment. We provide coffee, bait and tackle. Box lunches are available with advanced notice. 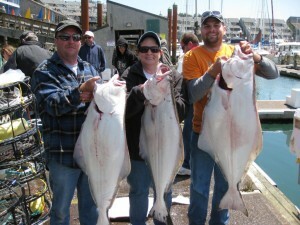 A fishing license is required and can be purchased on site at the Embarcadero Resort. Come fish with us today. 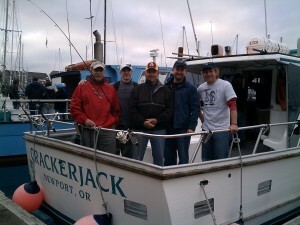 You’ll have a great time with Yaquina Bay Charters !